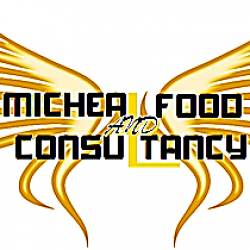 St. Micheal Food Laboratory and Consultancy is a food and beverages analytical laboratory established in 2014 to provide value-add analytical services at a customer friendly cost. We are a well-equipped Laboratory with state-of -the-art equipment and a highly professional team of staff with vast experience to handle peak volume samples and release results with the highest degree of accuracy. Each of our products is designed to suit each customer’s unique needs and expectations to guarantee a qualitative service in line with the requirements of ISO/IEC 17025:2005. We have a wide range of products for every prospective client wishing to develop an edible product and/or ones already in production and seeking guidance on quality improvement, extinguishing of coliforms, streamlining of production techniques for a more hygienic product on shelves, shelf studies, chemistry, nutrition content analysis and many more. Our laboratory facility has been set up in line with the requirements of ISO Standard 9001 on Competency of Food Testing and Calibration Laboratories. We analyse foods, both raw and processed, to assess their level of contamination with microorganisms including those that cause disease (pathogens). The total plate count for the total microbial load in each raw food or processed food product. The total coliform count that acts as a hygiene indicator of the food preparation. Detection of the presence of yeasts and moulds. Detection and enumeration of pathogens such as Escherichia coli, Salmonella etc. Any other related tests run upon client’s request. SMFLC is located in close proximity to Kampala City – less than 10 minutes’ drive from the city centre with working hours extending beyond official working hours and into weekends.